Shipping available on items that can be shipped – Buyer pays shipping & packing cost. Mel & Becky have decided to sell some of their collection of items that they built over the years of farming along with their metal and leather business. They have built and restored all kinds of machinery, horse equipment, metal work and all kinds of leather work. This will be a one time chance to buy things you do not see every day and built with pride with excellent workmanship. 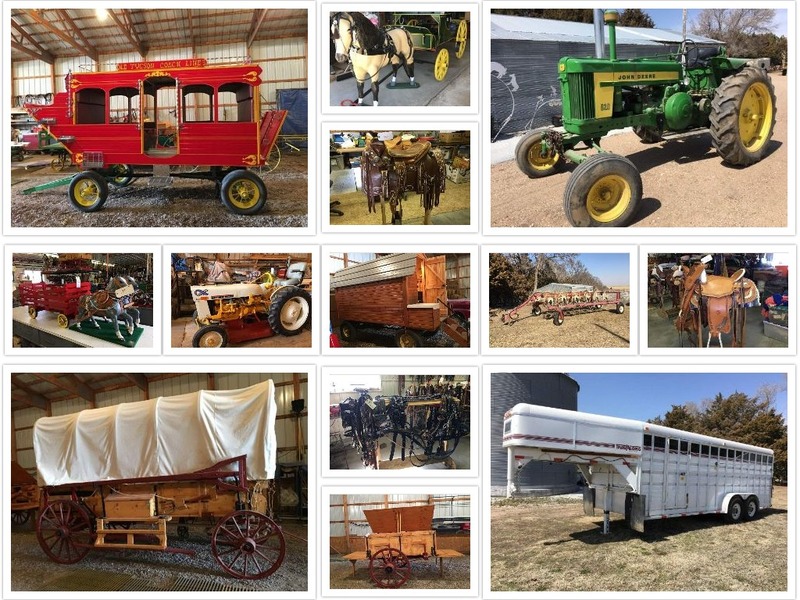 Selling farm equipment, trailers, custom made chuck wagon, saddles, tack items and more. Check back later for a full listing.